Why is my dog shaking? Does my dog have fleas Or maybe he is sick? 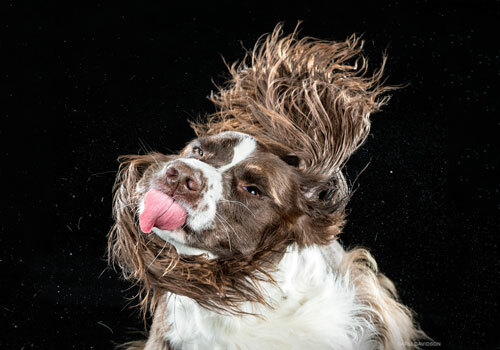 The thing is, dogs tend to shake due to a variety of reasons, so it is normal to see a dog shaking his head. Your dog can also be a little emotional to see you after a long day’s work thus, he shakes his body. However, it could be hard for us to decipher the real meaning and causes of their body language hence, we would consider the shaking as a normal thing. It could be a sign of happiness whenever he sees you or other dogs, or could be a result of eating harmful food ingredients. It could also be their way of drying themselves off, playing and stretching after a nap. However, you may feel bothered and want to know the real reasons for your dog keeps shaking since not all shakes are healthy, and sometimes, it could be a sign of a serious health issue. Typically, dogs would exhibit the “wet dog shake” which is a health reflex and at the same time, allows them to dry off easily and avoid hypothermia. 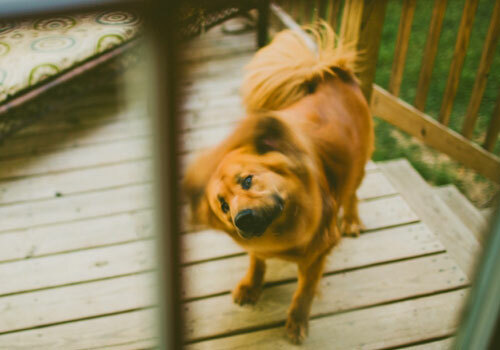 These happy shaking events are normal, but other dogs tend to do it excessively. According to Katie Grzyb, medical director of One Love Animal Hospital, shaking and shivering can also indicate illness. Shaking and trembling of dogs could be a result of poisoning, anxiety, stress-induced, pain and neurological conditions. As a pet parent, one should learn the difference of happy shaking from shaking due to serious issues and the effective ways to treat their condition. Let’s dive right into one of the enduring mysteries of a dog’s life and know more about why do they shake or tremble. 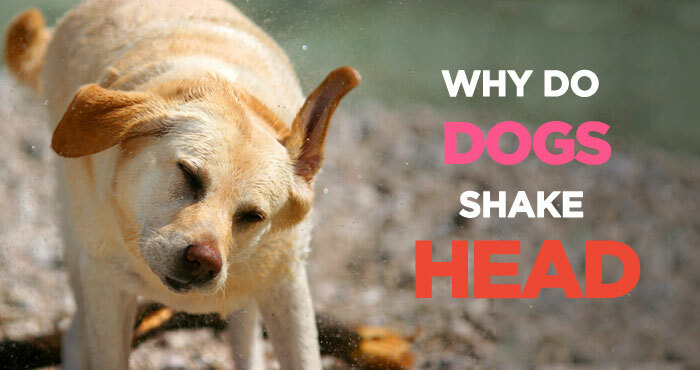 Here we have listed some of the most common reasons why dogs shake or shiver. Going through these list of causes will help you determine the real reason behind your dog’s shaking. 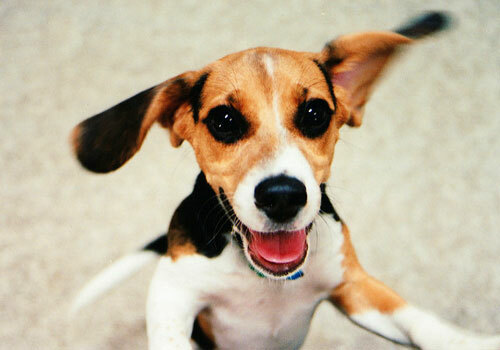 Your presence alone can make your dog very happy, enough for him to shake, wiggle and bark with excitement. These traits are very common to puppies, but some of them tend to outgrow such behaviors. However, some of them cannot just remove these habits easily. Apparently, there is nothing to worry since trembling in the middle of playing or when they are excited is, in fact, normal. It is their way of releasing their excess energy and expressing their emotions. If your dog is too hyper, you can consider training him to be calmer by rewarding calm behavior method. Shaking is your dog’s way to shake off excess water after bathing or whenever its coat gets wet which is good. If not properly dry and water remains in their fur, they could fee cold and may suffer from hypothermia. Dogs and other animals shake rigorously to dry off themselves by 70 percent. It is their normal reflex, so you don’t really need to worry or to do something about this. Instead, you can help him to dry fast by giving him his own bath towel or by using hair blower specifically designed for their delicate skin and coat. While some shaking instances are good, there are times that dogs shiver because of different illnesses. It is similar when we tremble due to fever. A dog might be suffering from kidney disease, inflammatory diseases, back, neck and abdominal pain, nausea, and seizures. If you notice this when you pet him or play with him, you can associate his shivering with pain. Likewise, if the dog gets unresponsive during the shaking episode, chances are it is due to pain and another sickness. Dogs can also get stressed for different reasons, such as unfamiliar and loud sounds like fireworks, people or other animals, thunderstorms or a trip to the veterinarian. These common things can trigger shaking and trembling as his response to stress and anxiety and sometimes, accompanied by chewing, urinating, gasping and other unnecessary behaviors. Certain circumstances and other factors such as being separated from its owner or a previous abuse can also contribute to the dog’s reaction toward stress. Fortunately, there specific training methods that can help your dog overcome this condition. You can also help him by doing some home remedies to avoid stressful situations. This virus commonly occurs in puppies and younger dogs that don’t have the complete vaccination. Non-immunized adult dogs are also susceptible to canine distemper. The symptoms include fever, coughing, tremors, nasal and eye discharge and seizures. Unfortunately, this has no known cure and is considered a viral and contagious illness among dogs. 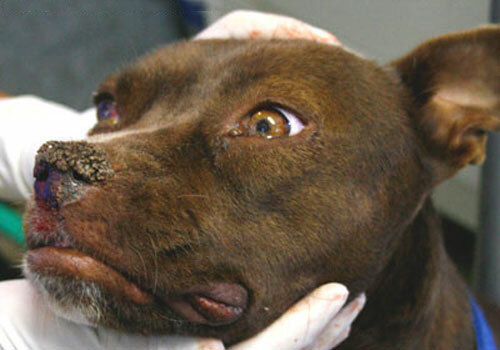 There is a high risk to acquire the disease if your dog interacts with an infected animal. Distemper is also common in wolves, skunks and ferrets. If not properly addressed, it may lead to neurological conditions. Likewise, brain tumors, strokes, and encephalitis can also cause shivering or shaking in dogs. GTS is another serious illness also known as steroid responsive tremor syndrome or white shaker dog syndrome. This condition was first noticed in white dogs like West Highland white terriers and Maltese. Veterinarians and dog experts do not know the exact cause of GTS, but it is known to affect all dog breeds and sizes. Usually, it affects dogs of nine months to two years of age. Normally, this condition was ruled out as anxiety-related as it does not occur with specific stressors. GTS can cause full body tremors. Fortunately, it is treatable, unlike canine distemper. Similar to humans, aging dogs are also at a higher risk for several disorders which causes them to tremble and shake uncontrollably. 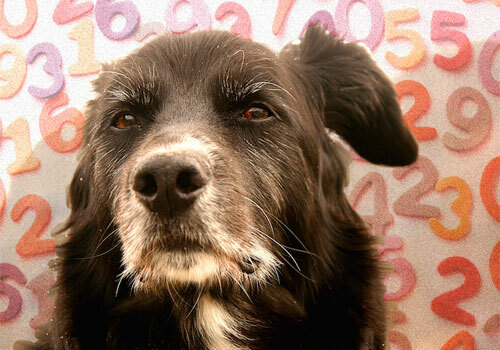 As dogs grow old, there could be some type of cognitive disorders which can also cause them tremors. Age-induced shaking is considered normal and expected, however, it can also be a sign of joint pain and discomfort among senior dogs. It’s important to know that we cannot prevent this from happening but with proper care and therapies, you can help your dog reduce his shaking episodes. Some food ingredients can cause poisoning to dogs. Likewise, there are harmful toxins and poisonous plants which cause him tremors. There are also products that are safe for people but not for dogs such as chocolates and xylitol found in chewing gums. Metaldehyde can also cause them convulsions and serious muscle tremors. While symptoms of poisoning vary, the most common signs are disorientation, trembling, drooling, depression, diarrhea, vomiting, and seizures. If he consumed high doses of these harmful materials, the dog might suffer from uncontrollable shaking. It is crucial to take him to the vet immediately. Proper diagnosis of the problem is the key to treating your dog’s shaking and shivering episodes efficiently. But if you are not sure about the source of the shakings, then you should call your vet immediately. 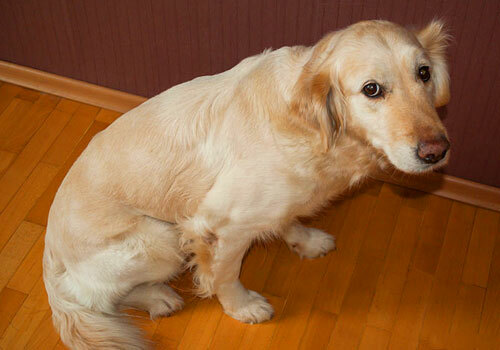 You can also try these following steps to help your dog reduce trembling and shaking. If the dog also exhibits other clinical symptoms such as decreased in appetite, diarrhea, lethargy and vomiting, a veterinarian should evaluate his condition. Take note if there are toxins, chemicals or new plants at home that your dog might have been exposed to. Keep him in a clean and safe environment, clear from other distractions until the vet sees him. This is to avoid further damage and accident. Special care is required if your dog is diagnosed with distemper. The vet can provide him antibiotics and intravenous fluids to prevent secondary infections and relieve the symptoms. There are also products that will help boost his immune system to fight off distemper. Likewise, physical therapy is also recommended by dog experts. To further examine your dog, you can choose to have him undergo blood testing, neurological examination and organ evaluation. If the shaking is due to loud noises, placing cotton balls in both ears of your dog will help lessen the noise. Also, it is advisable to talk to your dog calmly while petting him during stressful situations. There are natural products and medications that can reduce the symptoms of tremors due to anxiety and may have a calming effect on them. In the case of aging dogs, talk with your vet about possible therapies and treatments that can help him slow down deterioration or relieve pain. Make sure to give your dogs adequate exercises and activities according to his age. 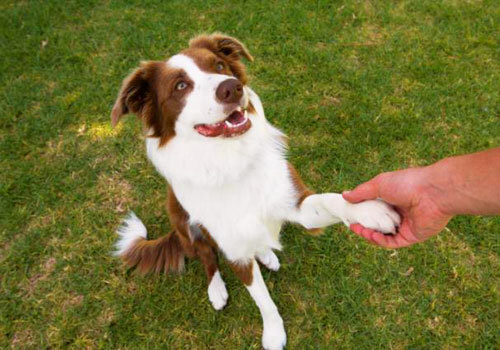 Proper dog training can also aid your dog to lessen their stress and anxiety levels. Regular walks in the park and around the neighborhood will allow him to get used to sounds, other people, and animals. If you suspect your dog has swallowed harmful ingredient or chemicals, call the vet immediately. Check the video below to understand the shaking and shivering in dogs. For more information about shivering, shaking and tremors, it is highly recommended that you should consult with your veterinarian. Make sure that you always consult him if you notice excessive shaking or your dog seems to be undernourished and chronically ill, talk to the vet. Your vet will be able to diagnose the cause of shaking and prescribe appropriate treatment. You can also call the Animal Poison Control Center at 1-888-426-4435, if you suspected that there are underlying causes why your dog is trembling. Although most of the time our dogs shiver, tremble or shake due to normal reasons, still it is not advisable for us to totally ignore these shaking episodes. Make it a habit of monitoring your dog’s any unusual behavior and try to decipher his movements and body language. It is really very important for your dog’s health that you pay attention to his behavior and overall health. Our dogs cannot fully express their emotions thus, it is our responsibility to make ways to understand them and make their lives better and longer. We hope that your dogs will always do that happy shake! Learn how to keep your dog safe, healthy and happy with exclusive tips, insights and discount coupons that we only share with our private newsletter subscribers. My husband will be 81 years old next month and was diagnosed with Parkinson’s disease 13 months ago. his main symptom were and rigidity or stiffness of his right-hand side.he also had some difficulty writing. The original diagnosis was confirmed three months later by a second neurologist. He was on one tablet of pramipexole (Sifrol), 0.25 mg three times a day. Four months ago his neurologist added Biperiden, 2 mg. he takes half a tablet of Biperiden three times a day. Since the original diagnosis, his stiffness has slowly increased. He lost touch with reality. Suspecting it was the medication I took him off the Siferol (with the doctor’s knowledge) and started him on PD natural herbal formula, I spoke to few people who used the treatment here in Canada and they all gave a positive response, his symptoms totally declined over a 6 weeks. He is now almost 81 and doing very well, the disease is totally reversed! I am thankful to nature, herbs are truly gift from God. Share with friends!! Did you like the articles here? Sign-up below for more exclusive tips delivered directly to your inbox. PeanutPaws is a participant in the Amazon Services LLC Associates Program, an affiliate advertising program designed to provide a means for sites to earn advertising fees by advertising and linking to Amazon.com. Copyright © PeanutPaws. All rights reserved. Get exclusive tips right in your inbox. Fantastic Deals on Dog Supplies at Amazon.com!